Our services include Lash Extensions, Lash Lifts, Brow waxing and brow shading. 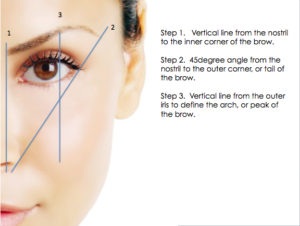 Eyebrows are sculpted and shaped to perfection. By using our exclusive film wax, our estheticians will achieve the perfect result (shape, size, length and color) for each client. Brow waxing is an Art, and Viva Brazil staff will satisfy our goals. The shape, size, length and color and the keys point for a out standing, glamorous and natural look. A perfect and natural eyebrow design for a perfect look and natural face. The perfect brow is in the details: arch, fullness, shape. For a ultimate finish, eyebrow powders and gel are available at Viva Brazil! Our eyebrow powder are available in a range of shades/color to match any hair color and bring out the beauty of your eyes. For brow powder and make-up, Viva Brazil uses Rebelle Cosmetic. Rebelle Cosmetic is a private brand available only at our locations. Lash Lift is a great alternative to eyelash extensions or for clients with sensitivities. It is a low maintenance lash solution for clients as results lasts up to 12 weeks. Using your own lashes, it will gives you a natural looking “lift“. Our eyelash extensions are designed to give you longer, thicker, and stronger lashes and allure than you ever dreamed of. Eyelash extensions brighten and open your eyes with a natural look. Whether you are looking for an everyday look, a wedding or special event, lash extensions will transform your look. For a quick and more affordable make over, strip lashes are also available at Viva Brazil.